When last we left our “hero” it was 2015, and the Mirage that Consumer Guide® tested then was an ES with the automatic continuously variable transmission. All in all, it was as distinctly unpleasant a driving experience as most of us here could remember—and Rick Cotta has driven a Trabant. 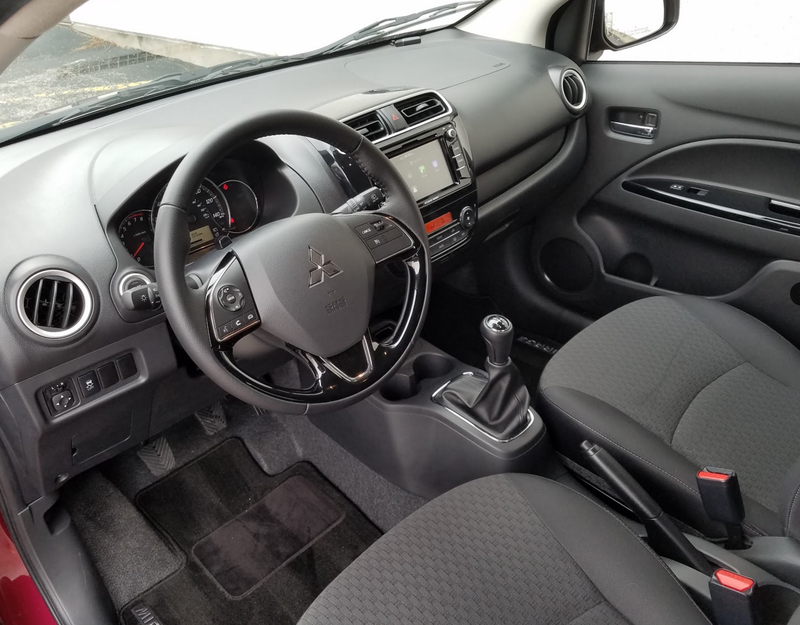 Although the base Mirage ES starts at $13,830 with manual transmission and destination, jumping to the tested SE ($15,630) brings such niceties as automatic climate control, rearview camera, 6.5-inch touchscreen, Apple CarPlay/Android Auto, Bluetooth, steering-wheel controls, and keyless access and starting. Now, a couple years later, we’re back in a Mirage, and—well, it’s not so terrible. The biggest difference is that our 2017 tester (an SE with roughly the equipment level of the ’15 ES) came with the five-speed manual transmission. Rather than force the little 3-cylinder engine to rev and rev mournfully against the constraints of the CVT, the stickshift permits drivers to find some sweet spots in the engine’s modest torque output to maximize—and somewhat quiet—its operation. The shifter’s a little rubbery, but gates are easy to find, and the clutch is cooperative and light to the touch. EPA ratings for the manual aren’t as good as the CVT but this reviewer was pleased to get 38.02 mpg after a test run of 157.7 miles, 46 percent in city-style driving. There are improvements to the graphic displays faced by drivers. Gone—mostly—are the flaring orange digital readouts for the odometer and radio from the earlier Mirage. 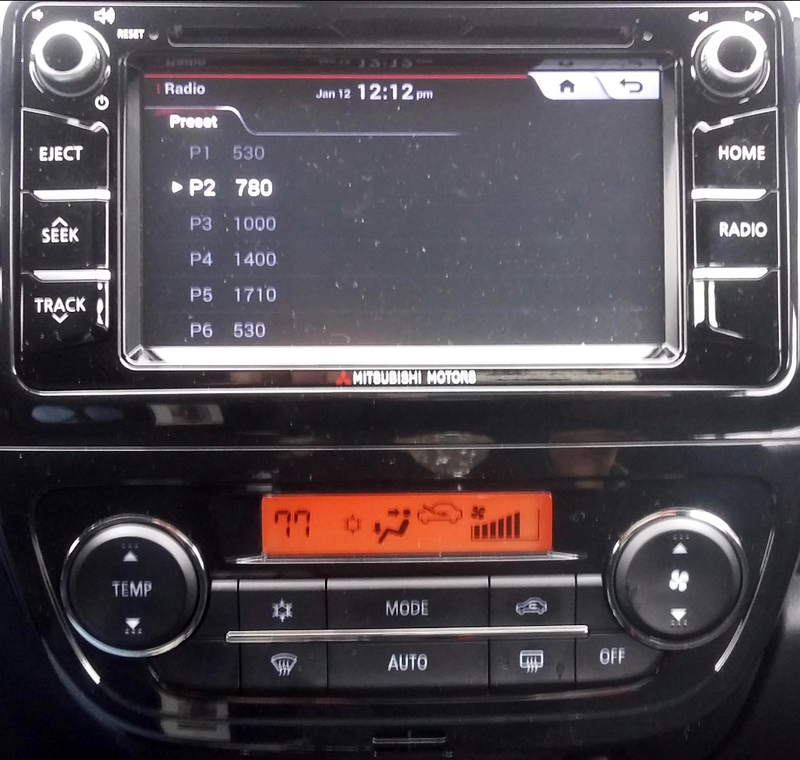 The test SE came standard with a colorful 6.5-inch touchscreen that allows clear display of audio, navigation, and other apps from the smartphone link, and newly added Apple CarPlay and Android Auto systems. Only the window that shows climate-system info still has an orange glow. The Mirage is still no prize. It’s challenged for space, comfort, and quiet. However, with the manual—which, let’s face it, few will buy—at least it’s not a booby prize. 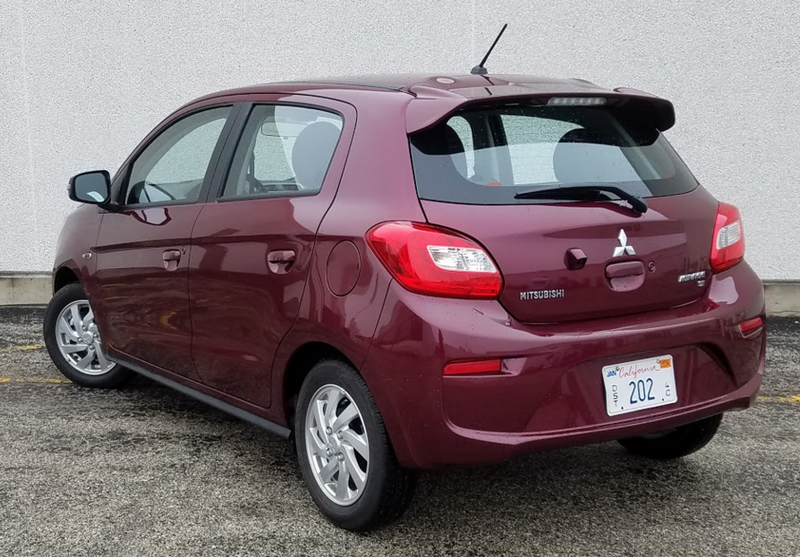 Other subcompact cars offer more power and greater refinement, but few can match the Mirage on a features (or fuel economy)-per-dollar basis. 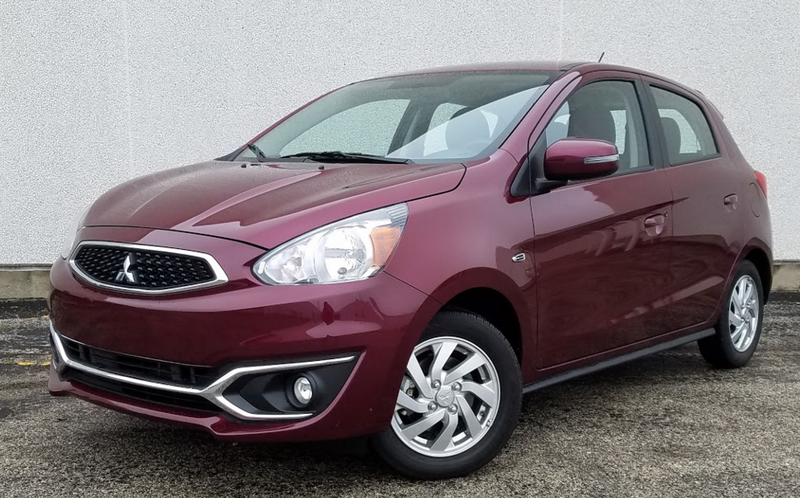 There’s an old saying that “There’s a shoe for every foot.” And though Mitsubishi’s Mirage may not be the best fit for most people, it certainly has its selling points. Mirage feels cheap inside and out. Only the seats and steering-wheel rim are padded; even the door armrests are hard plastic. If you understand that “economy” is the name of the game here — and that it doesn’t come without a certain cost — it’s more likely you’ll see some appeal in the Mirage. First, it’s one of the lowest-priced cars around, and it gets better fuel economy than almost any non-hybrid or diesel out there. It also comes with a great warranty — 5-years/60,000-mile bumper-to-bumper and 10/100 powertrain — that matches the industry’s best (Hyundai and Kia being famous for offering the same warranty). Furthermore, its short overall length and tidy turning circle make it extremely maneuverable and easy to park, and that — combined with a surprisingly decent ride — makes it a natural for inner-city driving. Past that, it gets a bit harder to find really bright spots. Mirage’s little 1.2-liter 3-cylinder engine puts out just 78 horsepower, and though that’s enough to keep it up with traffic, freeway merging and passing takes some forethought. And unless it’s being drowned out by the audio system, the engine can be heard even under cruise conditions, and gets loud and buzzy under acceleration. Back in 2015, we tested a Mirage with the available CVT automatic. Not a lot has changed since then– so most of our comments still apply — though our 2017 model was fitted with the standard 5-speed manual transmission that probably won’t be chosen by many buyers. (The optional CVT automatic adds $1200.) The manual might be considered the “sporting” choice, but the clutch was very light to the point of being lifeless, and the shifter was somewhat notchy and noisy. And according to the EPA fuel-economy estimates, the manual sacrifices 2-4 mpg to the CVT. A rather surprising bright spot was that the little engine pulled from just about 1000 rpm without lugging in the lower gears (great for “coasting” stop signs — or so I’m told), something few 4-cylinder engines can boast. The audio system includes some handy buttons and knobs, and though the climate system is controlled by tedious repetitive-step pushbuttons, it’s an automatic system (so it shouldn’t need much adjustment), and all controls are within easy reach. Two notable changes to the 2017 vs. the 2015 we drove are the front-end design and the audio system. A larger grille with bright-metal surround adds a bit of polish to the nose, and the audio face has been revised. Although they’re not offered on the base ES model, our “next up” SE came standard with keyless access and starting, a 6.5-inch touchscreen, and Apple CarPlay/Android Auto, all nice “techy” touches. Also new for 2017 is a 4-door sedan variant of the Mirage called the G4, which is priced about $1000 above the hatchback. 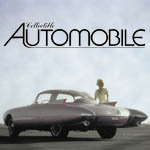 Space is limited for both passengers and cargo, which should be expected in a car this small. What might not be expected is that the steering wheel tilts but doesn’t telescope, and the sun visor doesn’t extend when swung to the side, which leaves eight inches of the window uncovered. And from a cargo standpoint, the folded rear seat backs rest about four inches above the trunk floor — meaning long items can’t be easily slid all the way forward — and they may not lay flat if the headrests aren’t removed or the front seat is very far back. 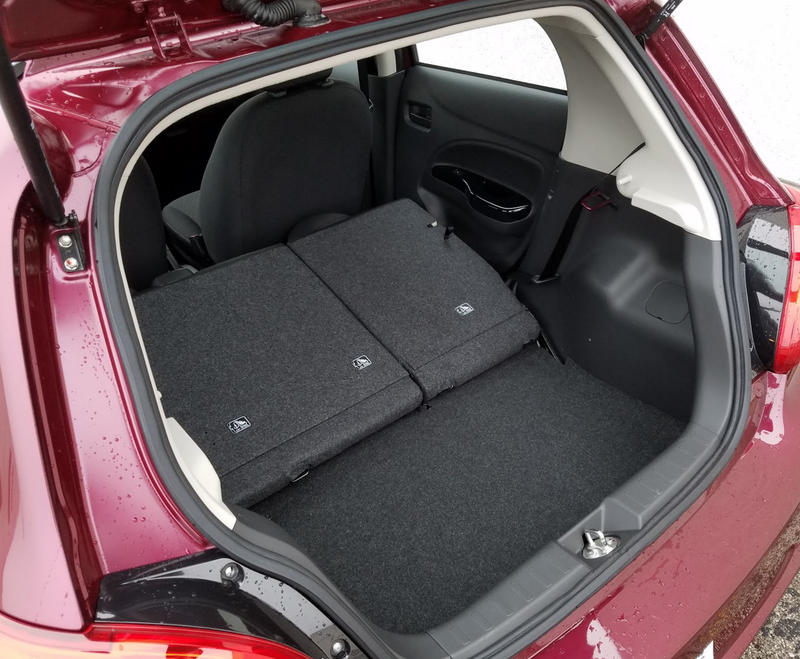 There’s decent grocery-bag room behind the rear seats, but folding the rear seat backs to expand the space leaves a 4-inch step, and the backs don’t lie flat. The bottom line is that while many other subcompact cars rate higher overall, much depends on what you deem most important. If overall cost is tops on your list, the Mirage’s combination of low initial price, good fuel economy, and a long warranty might well make it the shoe that fits best. Written by: The Daily Drive staff on January 20, 2017.